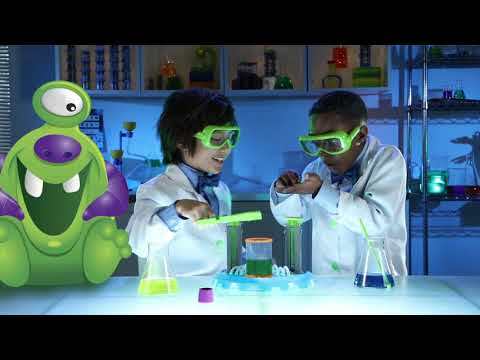 Create amazing bubbling reactions with this fun super lab and extract your Beaker Creature. Discover out of this world creatures through fizzing and bubbling reactions with this entertaining 15 piece set. Simply drop one of the two Reactor Pods into the chamber and pump in water with the hydroplungers. Then watch the fizzing, bubbling reaction to reveal the fun alien inside, the Beaker Creature. The fully illustrated experiment guide also has step-by-step instructions for five different fun experiments, including Alien Slime Time and Deep Blue sea. Fascinating and fun science - the Beaker Creatures have landed!